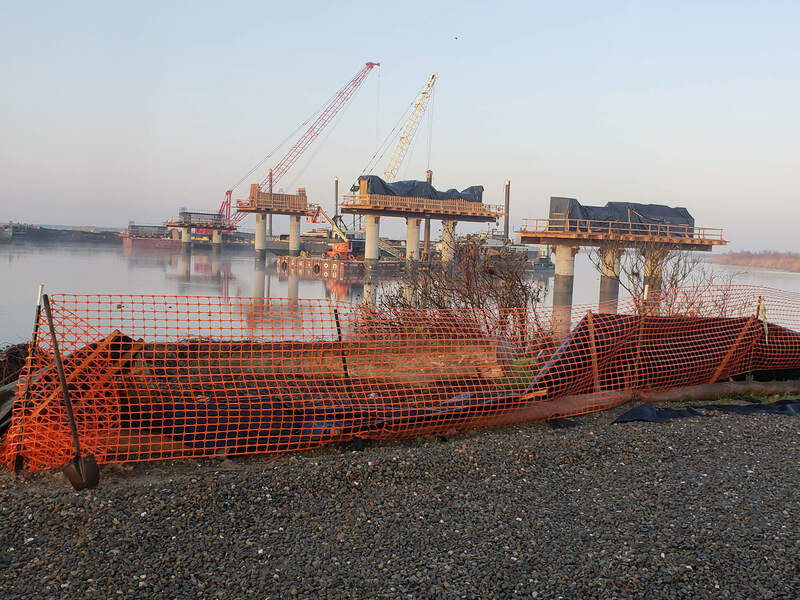 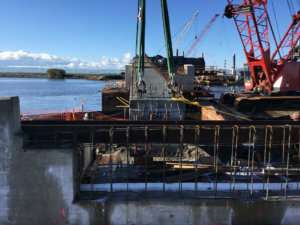 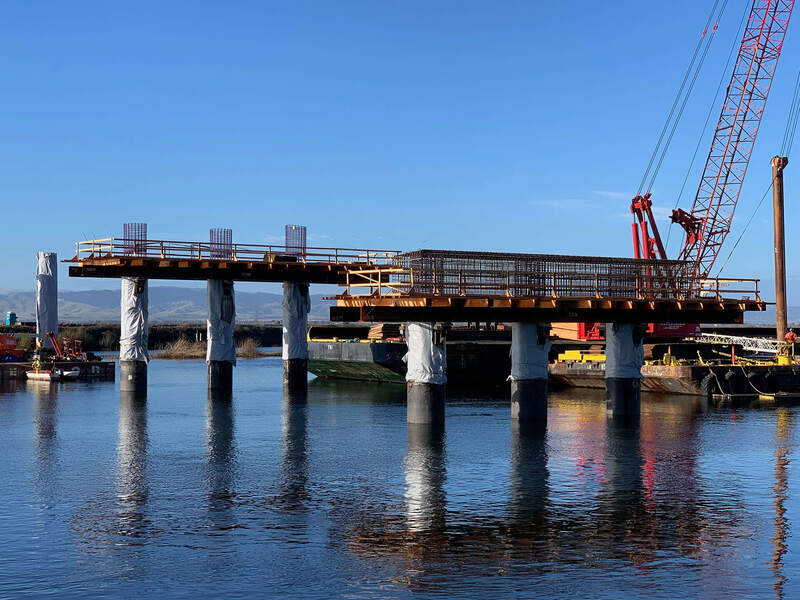 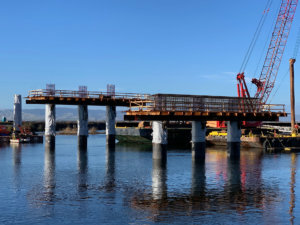 The project, located on the Middle River 12 miles west of Stockton, replaced the cable ferry with a new 675-foot bridge to provide uninterrupted vehicle access to Woodward Island from West Bacon Island Road. 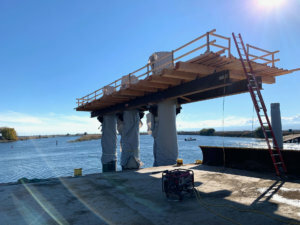 The seven-span bridge allows unlimited vertical clearance when the removable span is removed and 30 feet of vertical clearance when the span is in place. 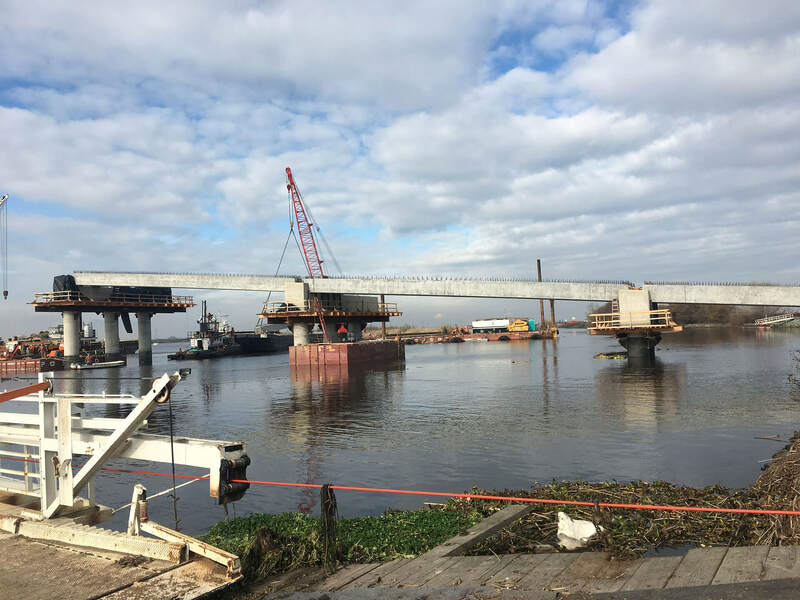 The bridge was designed for a minimum design speed of 15 miles per hour and maximum grades of 8.5%. To accommodate the west abutment of the bridge and to provide adequate area for trucks exiting and entering the bridge, the Woodward Island levee road was locally widened by 20 feet and raised by 5 feet at the end of the bridge. 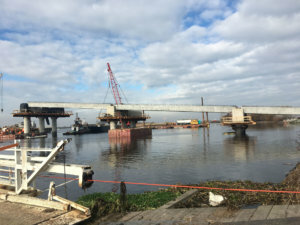 The bridge project was funded through the Highway Bridge Program. 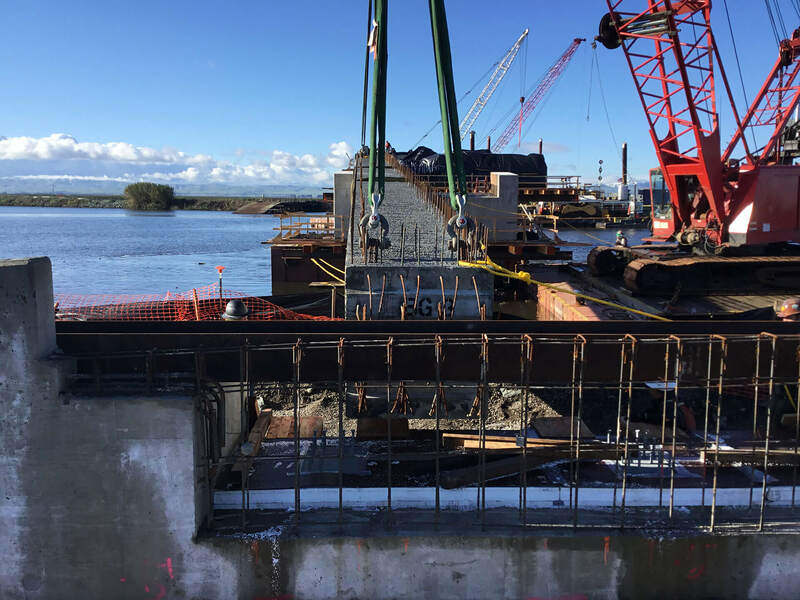 The Dutra Group constructed the piles and columns and installed the pre-cast girders. 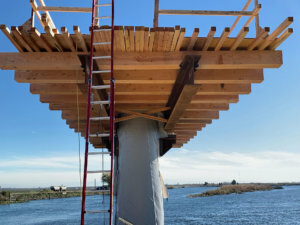 We constructed the abutments, bent caps and deck.